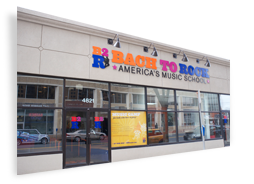 Designed for students of all levels, from beginners to seasoned artists, this program is taught by real musicians using the unique B2R method, which will have students playing full songs in no time! Students are placed in a band according to their age and skill level and the requirements of ensemble playing, teamwork and achievement of musical objectives are stressed. Depending on ability level, development of original material is strongly encouraged. Each weekly session culminates in a public performance and the recording of a CD. This camp is split into two age categories: for kids 7 - 9 and 9+. Bach to Rock is proud to announce the B2R Glee Club! Inspired by the television sensation, this premier choral ensemble offers a dynamic atmosphere for male and female students to unlock their inner star! Each student will explore fun vocal exercises, singing in harmony, and cool choreography while performing arrangements of popular songs. The B2R Glee Club provides a group learning experience that emphasizes reading music, intonation, listening skills, rhythm, and healthy vocal technique. The club will also get to show off its talent at exclusive live performances! Whether they’re a budding rock-star or an aspiring classical soloist, Rock City World Tour Camp is the place to find real music education for your 4 - 7 year old. Through dynamic musical and movement-based activities, exposure to live instruments and musically inspired story-time, budding young musicians gradually develop the skills needed to read music, play simple rhythms and develop fine motor control - skills that are essential for future success in playing an instrument. 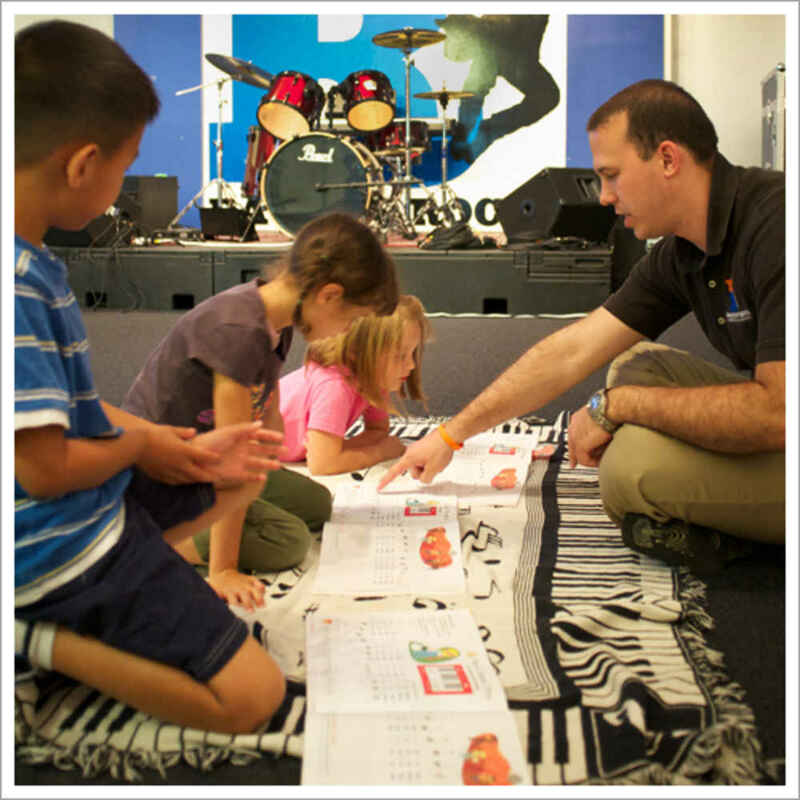 Classes focus on foundational musical concepts such as fast and slow, sound and silence, high and low and even singing and playing major scales, and with our special take-home activity materials, their musical adventures will last all week long! 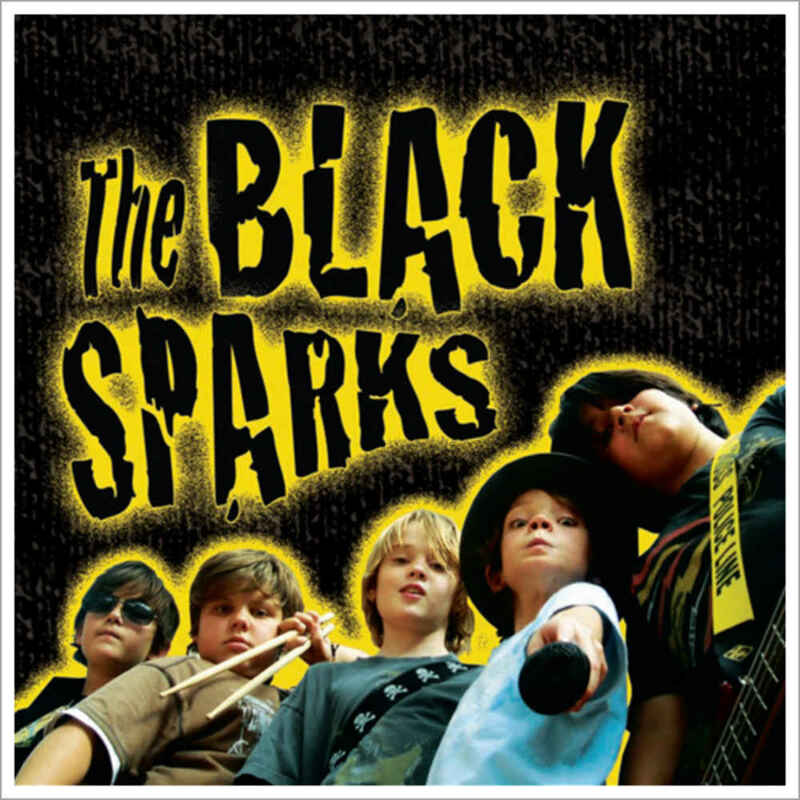 Do you have an awesome band that's rocking covers and writing songs, but not sure of what to do next? Come learn how to promote your music and get gigs! Find out how to create a press kit, including one sheets, photos and even a professional demo. Work in a state of the art studio with professional engineers to create your own signature sound. (Select locations only) If your child loves music and technology, this is the camp for them! Students get hands-on experience while learning the fundamentals of mixing songs, scratching sounds, and DJ music theory. Learning from world class DJ instructors, students work on individual state-of-the-art DJ workstations and will perform a short 2 to 3 song mini mix at the end of the program. No previous DJ experience required. This camp is for kids 10+. 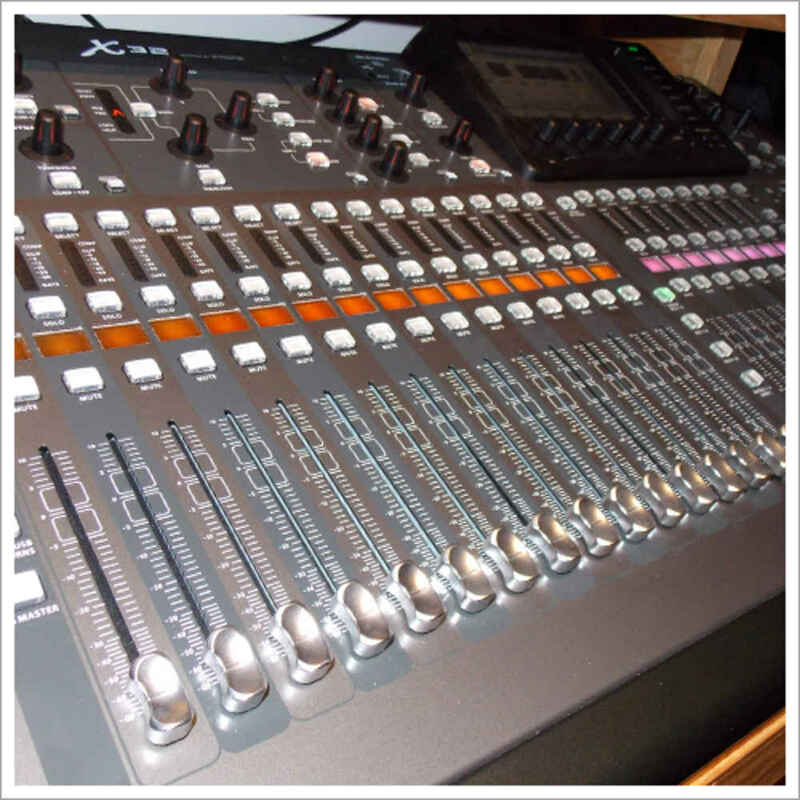 Using state-of-the-art recording technology, such as Pro Tools, students gain hands on experience manipulating sound in an industry level environment. 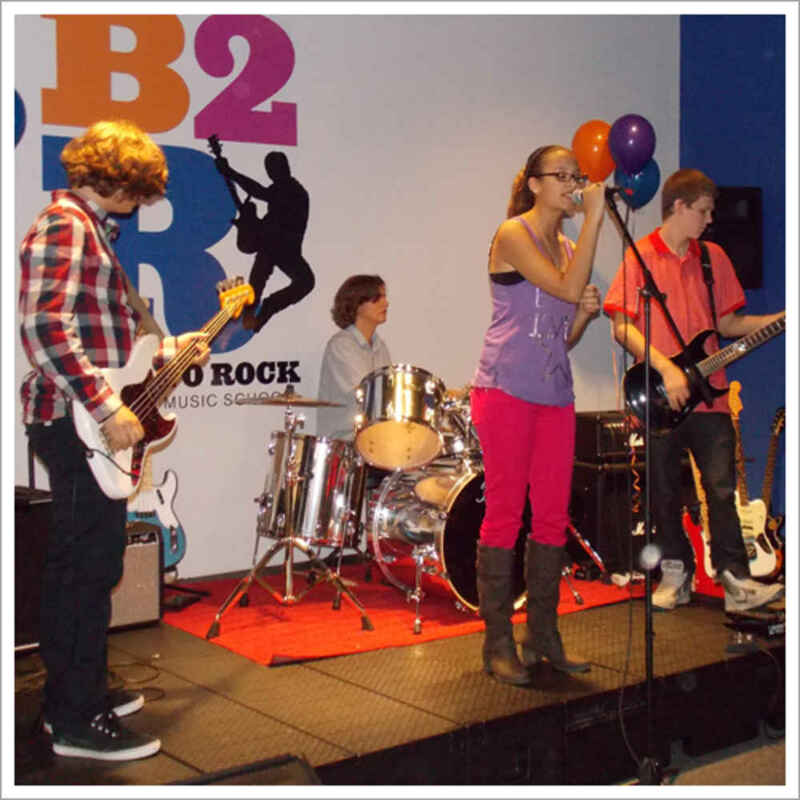 Participants have the opportunity to create original music and record live bands in B2R's professional recording studios. "I just wanted to send a note to let you know how much my son enjoyed Rock Band Camp. He's VERY sensitive and usually grossly introverted and if I didn't sign him up for something he'd be perfectly happy at home by himself with his Xbox all summer. But I signed him up anyway with much protest. This is the first camp he's attended where he came home THRILLED with his day EVERY day. He enjoyed all of the teachers, learned TONS and came out of his shell quite a bit. As a mother, that is so fantastic to see. I hope the Back to Rock team knows how much they influence these young musicians and how important their role is to them. Please thank them all! I look forward to sending him again!" "This was such a wonderful experience for my daughter. She was definitely frustrated after the first day since she was playing with more experienced members; but, she was appropriately challenged and rose to that challenge. She wants to come back for another week, wants to take lessons and participate in the band program. I really feel that she has "found her people". I was very impressed with the enthusiasm and talent of the instructors which showed with spirited performances by all of the bands. Thank you for taking the time to really get to know my daughter and fostering her talent."